Macgibbon & Ross give measurements of the nave, 41'9" in length by 20'6" in width externally with the chancel "diminished by 14 inches in width on each side". They go on, "the chancel arch...opening has been built up so as to enclose the chancel for a private burial-place. The chancel contains the usual priests' door in the south wall, and two narrow pointed windows on the same side, greatly splayed to the interior". Regarding the possibility of 15th century rebuild, MacGibbon & Ross say, "The simplicity of the chancel arch and the absence of an east window are against that supposition". AOC Archaeology Group was commissioned by the Working Group to undertake a measured survey and an historic building survey of Kirkton Old Church, Fife, in advance of intended conservation works to remove the ivy from the building and consolidate this historic structure. The foundations of systematic archaeological recording through measuring and drawing date to the later 18th century, much of this was carried out by antiquarian societies such as the Society of Antiquaries of Scotland. It was realised that a greater understanding was needed of the surviving monuments especially during the late 18th and nineteenth century when the country was going through great change and many of the surviving sites were under threat. All of this work was done by hand and much skill was involved. Photography was of great help in recording general views but still skilled drawing and measuring was needed. Diana Sproat & Gemma Hudson start the laser survey. 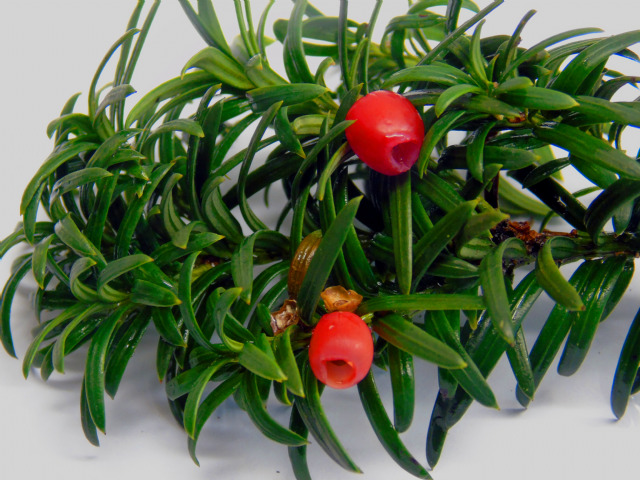 Recording involves visiting the site on several occasions to understand what is there. Recording often includes the study of photographs, maps and other archive documents as well as gathering local information about the area and the people who lived there. The information gathered will be used to develop a better understanding of the Kirkton Church and its place in the local community. It will assist in interpretation, education and access, both local and national. The information gathered will be lodged with Historic Scotland and with Fife Council. This is the first opportunity of providing a full recording of the site and it is hoped that this will aid in its future preservation and maintenance. 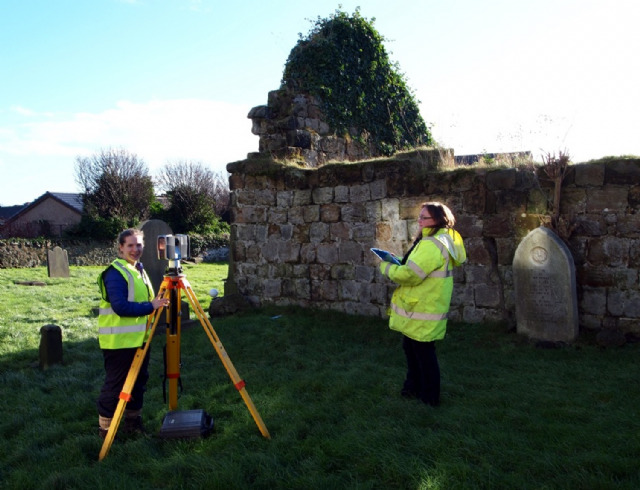 The measured survey of Kirkton Church was undertaken using a Faro Focus 3D laser scanner. The Focus 3D scanner is a phase comparison system, capable of full dome scanning at ranges of c.0.5m to 50m, at resolutions of up to 92 lines per degree. The use of laser scanning techniques for surveying is now common place. A number of years ago a measured survey would have been carried out using an electronic distance measuring device and a ‘smart pole’, together with hand held tools and a sketch pad. Today surveyors and archaeologists are more likely to be equipped with a tripod-mounted scanner. The technique requires a scanning head to be mounted on a surveyor’s tripod. The scanner spins at very high speed while a low-energy laser fires a reflecting beam with extraordinary precision, recording up to 1 million points a second. The device does not have X-ray vision. To give a complete picture it must have sight of the features surveyed so a number of set-up positions will be required. As can be seen with our scans carried out in February 2016, ivy obscures some of the wall-heads, therefore a return visit will be required once the ivy has been removed. The scan collects large volumes of data which are stored on the devices hard drive. The data is then downloaded and processed. The process of reducing this data to 2D drawings or 3D images involves thinning this to a lower density. In the case of 2D drafting, a cutting plane is defined and the data exported to form the drawing using specialised software. The process of creating the 2D image is known as vectorisation.